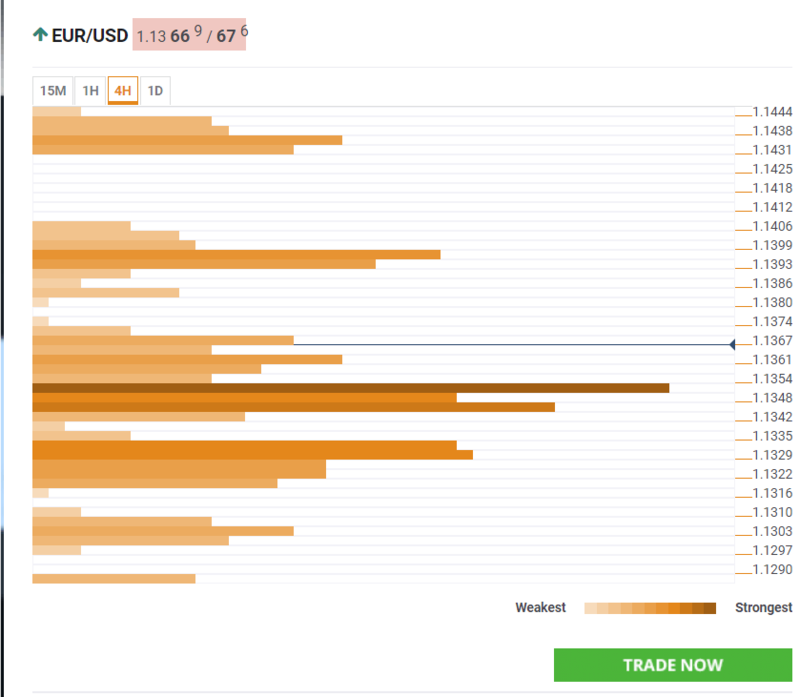 EUR/USD opened the week with a gap following the successful summit between Presidents Donald Trump and Xi Jinping. What’s next? The Technical Confluences Indicator shows that the pair broke above a significant line of resistance at 1.1350 which now turns into support. The level is a dense cluster that includes the Bollinger Band 4h-Middle, the Simple Moving Average 100-4h, the BB 15m-Middle, the Fibonacci 38.2% one-day, and the SMA 1h. The move opens the door to higher levels. At 1.1395 we see the confluence of the Pivot Point one-week Resistance 1 and the Fibonacci 38.2% one-month. Further above, the next target is 1.1438 where we see the convergence of the Fibonacci 23.6% one-month, the Bollinger Band 4h-Upper, and the Pivot Point one-day Resistance 2. Looking back down, we see further substantial support at 1.1332 which is the SMA 5-4h, the Fibonacci 23.6% one-day, and the Fibonacci 61.8% one-month. All in all, the upside is more appealing than the downside.